Thin Edge New Music Collective (TENMC), one of Canada’s most innovative young contemporary music groups, is coming to Japan this summer for their first Asian tour. 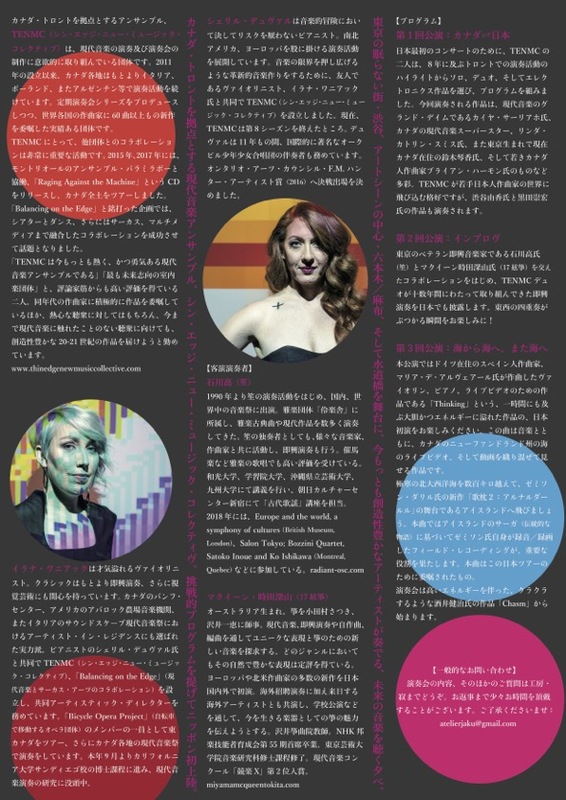 TENMC’s co-directors Cheryl Duvall and Ilana Waniuk will play three concerts in Tokyo and one in Fukui. 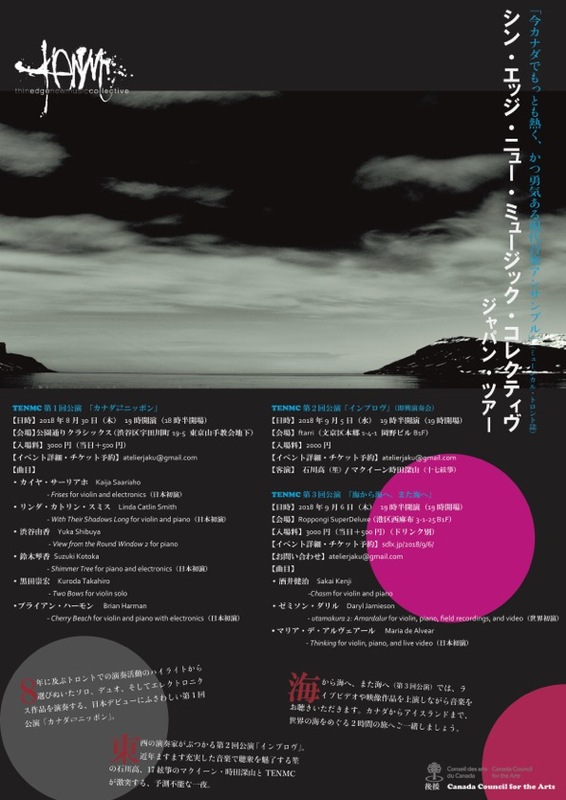 They will give many Japanese premieres, as well as the world premiere of my new piece utamakura 2: Arnardalur for video, field recordings, violin and piano. It is based on the work I did in residence in Iceland this spring. Improvisation in collaboration with Miyama McQueen-Tokita (bass koto) and Ko Ishikawa (shō).